Last week, the National Institutes of Health cancelled a $100 million study of alcohol and health after an internal investigation found “early and frequent” engagement with none other than the alcohol industry, to an extent that would “cast doubt” on the scientific results. 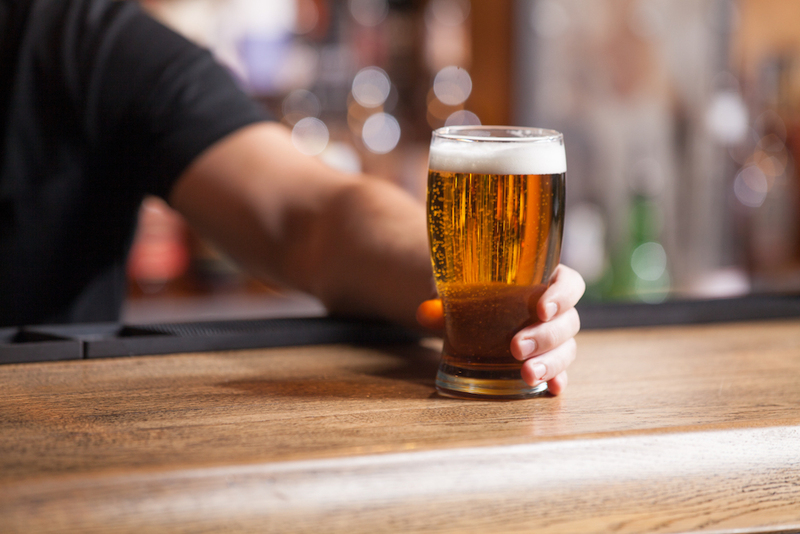 But prior to the cancellation, the research was setting out to answer an ongoing question about alcohol and our health: Are moderate drinkers actually better off than nondrinkers? Study after study has found that light or moderate drinkers have a slight health advantage, especially in avoiding nonfatal heart attacks, but is that because they drink, or is it due to some other factor like wealth? New York Times health reporter Roni Rabin, who helped break the story about the corporate influence on the NIH study, joins Ira to discuss the prospects for some day answering that question, along with Richard Saitz, a public health researcher at Boston University. Roni Rabin is a staff writer for The New York Times in New York, New York. Richard Saitz is a professor in the Boston University School of Medicine and Chair of the Department of Community Health Sciences at the Boston University School of Public Health in Boston, Massachusetts. IRA FLATOW: This is Science Friday. I’m Ira Flatow. We all think we know, more or less, what a healthy lifestyle looks like, right? No smoking, no hard drugs, get some amount of exercise, eat your fruits and vegetables. But what about alcohol? That one glass of red wine you’ve heard about, you know? One glass a day, or your beverage of choice now, for that matter. Studies dating back to as early as 1924 have found that association with greater health from moderate drinkers than nondrinkers, especially where the heart is concerned. And that’s what one huge NIH-funded study was setting out to test. Would participants asked to drink one drink per day in a 10-year clinical trial prove healthier than those who didn’t drink at all? Well, we’ll have to wait a bit longer for that answer, because last week NIH Director Francis Collins pulled the plug on a study led by researchers at Harvard because of its strong ties with the alcohol industry. Five companies, including Anheuser-Busch, chipped in tens of millions of dollars to fund the research. An internal NIH investigation also found the companies had frequent contact with the research team, throwing into doubt the validity of any results. And, oh, by the way, there’s some questions about the study’s design also. So where does that leave us in the bid to understand how alcohol affects our brains? That’s what we’re going to be talking about. If you’d like to join us, give us a call 844-724-8255. Let me introduce my guest. Roni Rabin is a health reporter for the New York Times. Her reporting was instrumental in exposing flaws in this now-canceled research trial. Welcome to Science Friday. IRA FLATOW: Richard Saitz is a public health professor and chair of Boston University’s Department of Community Health Sciences. That’s, of course, in Boston. Welcome, Richard. RICHARD SAITZ: Good afternoon. Thank you. IRA FLATOW: So let’s talk about this study. Let’s start with the canceled study. In some of your most recent reporting, you noted that they almost called it CHEERS. RONI RABIN: They almost called it CHEERS. You know, they like to come up with these acronyms that are cute names for studies. And someone came up with that. I don’t know if it was a joke or not. It was in an email, Cardiovascular Health Ethanol something randomized study. IRA FLATOW: So what lines were crossed here? What journalistic lines were crossed here? RONI RABIN: Journalistic lines or scientific lines? IRA FLATOW: Both. Oh, let’s talk about the scientific lines first, in cooperation between the scientists and the alcohol companies. RONI RABIN: Well, first of all, there’s some questions about the trial’s design. But I think the biggest problem was that NIH research is supposed to be funded by NIH money, which comes from taxpayers. And it should be research we have no doubts about, have no qualms about it. They do have a foundation called the Foundation for the NIH that’s allowed to raise money for their studies. And that’s what we were told initially had happened. And, in a sense, it did, but it happened after the fact. There had already been scientists who wanted to do the study, including the Harvard professor, and members of the top brass at the National Institute for Alcohol Abuse and Alcoholism, who actually lobbied the industry directly for this money. They went to industry conferences. They went to The Breakers in Florida. They went to a World Beer Institute conference in Philadelphia. They went to the Distilled Spirits Council. And they presented the study, but they presented it with a strong sense that they would find medical evidence that would change medical guidelines, strong scientific evidence that would change medical guidelines, and have doctors start recommending, actively recommending, a drink a day of alcohol. But they couldn’t do the study without the industry’s funding. IRA FLATOW: So there was an appearance of we’ll give you what you want if you help fund the study. IRA FLATOW: Dr. Saitz, Roni was talking about the actual study design. Give me some idea about the flaws. If the researchers were determined to be objective, data is data. What could be wrong with that? RICHARD SAITZ: Well, there are a few problems with the study, and also a couple problems with doing a study like this. So, the main problem with the study is that it was going to look for reductions in heart disease and heart disease death, but not overall mortality and cancers. And alcohol is not only addictive, it’s a carcinogen. And so if you’re giving that to prevent something like heart disease, you’d like to also know if it has any adverse effects. And one might be the development of cancer. But the second issue was that they really restricted who could be in the study, really quite seriously. There were more than 25 different listed exclusions. And, of course, you have to do that when you do a trial like this of a medication, in this case, alcohol. You have to exclude people who might run into trouble with that medication. But in excluding so many people, it means that the results of this study wouldn’t be widely applicable. And yet it’s very likely that the results would be used widely, meaning that they’d apply to many people who were not in the study, who are older people at risk of heart disease, at very low risk of cancer, at low risk of alcohol problems. And those aren’t the people who might be reading the study later, and using its results, and using it to justify their drinking, and figuring out that, well, you’d really want to confirm this in some other study. And that other study is unlikely to be done. IRA FLATOW: OK. Considering I’ve asked NIH people over the decades, I’ve talked about alcohol studies, would you ever recommend a drink to anybody as part of your national recommendations of how to eat healthy? And they said, no, we would never do that, because we are fearful that there might be alcoholics, or people don’t know, and they would be harmed by that. What about the ethical considerations that require people, if you conducted such a study, to actually have a drink? How might you know what things that are not discovered about them yet? RICHARD SAITZ: Right. So you can try to make it as safe as possible by excluding those at highest risk of any of the alcohol consequences. But, you know, if this weren’t alcohol, if this weren’t in our culture where alcohol drinking is normative, if we just called this an addictive carcinogen, and that we were going to test an addictive carcinogen to see if it might prevent heart disease, that just wouldn’t fly, right? So we’d worry about the ethics of such a study. RONI RABIN: The other issue is that men and women were both in this study. They were told to drink moderately. And that was defined as one drink a day for men and women. That’s never been the definition of moderate drinking for men. It has been for women. So it’s kind of interesting that they chose such a low amount. And it’s questionable whether people would stick to such a low amount. And, in addition to the exclusions that doctors hate to mention, this was only people 50 and over at high risk for heart disease. This was not the general population. So it was older people. There were not going to be enough women. And they were not going to follow long enough to see about the breast cancer risk. And this is an enormous risk. They were going to exclude women who were known to be at high risk for breast cancer. But every woman is at risk for breast cancer. And at very low rates of alcohol consumption, breast cancer can be increased. We’ve seen that repeatedly in studies. And there’s very little awareness about it. IRA FLATOW: So, connecting all those dots that you just mentioned, narrowing down the number of people, the kinds of people, the amount of drinking they would be doing, it sort of does point to the fact that you know what the answer is, and you want to just get the results from a study. You want to come out with an answer that, hey, it’s not harmful. And then you just go ahead and do the study. RONI RABIN: Well, that’s what the head of the NIH, Francis Collins, said at the meeting on Friday. He said this seems to have been designed to come out with a positive benefit for alcohol. IRA FLATOW: Richard, it all started with a question about the health benefits and moderate drinking. I tried to point out, this has a long history. Where did this speculation about healthy moderate drinking come from in the first place? RICHARD SAITZ: Yeah, as you pointed out, there have been observational studies or cohort studies– many, many of them– that do find that low amounts of alcohol seem to be associated with less heart disease, less heart disease death, and even lower mortality. And there’s even some early animal studies that suggest– and some human biological studies, where you expose people to alcohol, and it looks like some markers of health might improve. However, a lot of observational studies that find associations between drinking and better health could all be wrong. In fact, it’s likely that they’re all wrong, because people who choose to drink low amounts of alcohol are very, very different from people who either don’t drink at all, or from people who drink a lot. And so the conclusions that we draw from those sorts of observational studies are just not good enough to really know what the risks and benefits of drinking low amounts of alcohol might be. And an experiment really is the only way to figure that out, a randomized trial, which is what this was. But the problem is that it’s hard to do those randomized trials. More than one is unlikely to be done. And this one– and even any one– is unlikely to answer the question. IRA FLATOW: What about the red wine issue? Where we say, oh, there’s an ingr– was it resveratrol? I’m not sure I’m pronouncing it right. There’s an ingredient in red wine that is protective, and everybody should be drinking that glass of red wine to get that. Is that just anecdotal evidence also? RONI RABIN: It’s present in very, very small amounts in red wine. And, there’s, again, no proof that drinking red wine– you know, whenever I talk about this with friends, they say, OK, we don’t know about alcohol. But red wine, right? Red wine’s good for you. IRA FLATOW: That’s why I bring it up. RONI RABIN: No, it’s the exact same level of evidence. We have no better evidence for red wine. And, again, to paraphrase what Dr. Saitz said, does drinking make people healthy? Or is drinking moderately just something that healthy people do? That’s the problem with the observational studies. IRA FLATOW: Yeah. 844-724-8255. And we all know that really intensive double blind studies of any kind, in a large population, cost hundreds of millions of dollars to do. RONI RABIN: And they’re called the gold standard. And we call them the gold standard. But they’re only the gold standard if the design is good. IRA FLATOW: Is it possible, then, to make a good design to really test this out, this question? IRA FLATOW: OK, come on. Come on. You’re making that up. RICHARD SAITZ: No, I’m not kidding. I’m not making it up. And then say how much they drank. Well, if you do a study like I was talking about with aspirin, you would measure the exact amount of aspirin you were giving. And you would give them that dose as part of the study so you know what they’re taking. And you’d have ways of measuring how much they’re taking. You compare it to a placebo. And then you look over time. So that’s not the kind of study that this was. And, admittedly, an alcohol study is very hard to do. Because, as I said before, it’s normative behavior. Most people have had a drink of alcohol, most adults in the US, in the past year. And so this study would take people who already are drinking some, and then tell them to not drink, or to go and buy some alcohol, and to be sure that they drank one standard drink per day. It’s pretty hard to get that to be valid. RONI RABIN: Absolutely. That’s the other thing that’s important to realize and remember, that we know so much about preventing and treating and protecting people from heart disease, and what the risk factors are. We actually know a lot less about cancer. We know a lot less about why some people develop cancer and other people don’t. And the genetics, of course, we’re learning a lot about. But the ones that pop up, and without the history, and without the– we actually know a lot less about. And I know that cancer death rates are fast climbing. And heart disease is still number one cause of death in this country, but cancer is climbing up right up there. IRA FLATOW: I’m Ira Flatow. This is Science Friday from WNYC Studios, talking about alcohol and disease studies. It’s amazing that the public is going to hear another thing, another reversal of something they’ve heard again. And what does this do, do you think, to the public’s perception of science? Does it have any effect, negative effect? No, look we heard all these years that having a drink and drinking red wine is good for you. Now we hear that it’s not true. RONI RABIN: Well, we don’t it’s not true. We just don’t know. IRA FLATOW: We don’t know. RONI RABIN: We don’t know. And I think maybe that’s our bad as a science journalists. I think that we write about a lot of studies that are more observational studies, which are the weaker studies, than there are the randomized clinical trials. And we write about a lot of them. And maybe we don’t put enough precautions in and say, this is not a study that proves cause and effect. This is an association. And maybe we just have to keep repeating that more strongly in our stories. RICHARD SAITZ: It does remind me of the Woody Allen film where he wakes up centuries later and finds out that French fries are good for him and that everything was wrong. I think scientists, we need to take some responsibility for this, too. Because whenever we find an association or find something positive in our studies, especially if it’s something that people will like, we like to go to the journalists– my colleagues on this call– and have them publicize it. And it is hard sometimes to explain that no one study solves these kinds of questions, and that the results are complicated, and we’re sort of doing the best we can. But I think that what’s happened recently– which is new, by the way– is that in recent observational studies that have been done better than those in the past, when you try to narrow down on the best methodological characteristics of some of the studies, we’re actually finding that low amounts of alcohol is not associated with lower heart disease risk, and that it’s not associated with lower mortality. And these are some studies called meta-analysis, or systematic reviews, where you systematically look at the literature at large to try to get the best answer from multiple studies. And those really are not finding the beneficial associations that we’re seeing in other individual, probably lesser quality, studies. IRA FLATOW: Besides, they say alcohol is toxic to your liver. There are negative effects, not just of drinking too much, but what it has on your body. RICHARD SAITZ: Well, those kinds of effects are likely from heavy drinking. But as Roni Rabin pointed out, for breast cancer, for example, the risk increases at about one to six standard drinks per week. And so we’re talking about the effects of low amounts of alcohol. IRA FLATOW: I didn’t realize it was that high for breast cancer. RONI RABIN: Yeah, it’s a small increase. But remember, women are at high– and this is a very, very common cancer. And there’s very little awareness. And women seem to be drinking a lot more in this country now, and there seems to be a lot of promotion and marketing of drinking to women. RICHARD SAITZ: And about 4% of all cancers, to move beyond breast cancer, about 4% of all cancers are attributable to alcohol. Because many cancers are not easily preventable, it’s nice to know that there’s something that’s actually preventable. And if you removed alcohol, you’d remove 4% of the cancer burden in the US. RONI RABIN: And for breast cancer, I believe I saw a figure, 16% of breast cancer is attributed to drinking alcohol. IRA FLATOW: Something to think about this weekend. Thank you both for taking time to be with us again. Roni Rabin is a health reporter for the New York Times. And Richard Saitz, public health professor and chair of Boston University’s Department of Community Health Sciences in Boston. Should Sugar Be Regulated Like Alcohol? Pediatrician Robert Lustig says fructose can be as harmful as alcohol, if taken in large quantities.